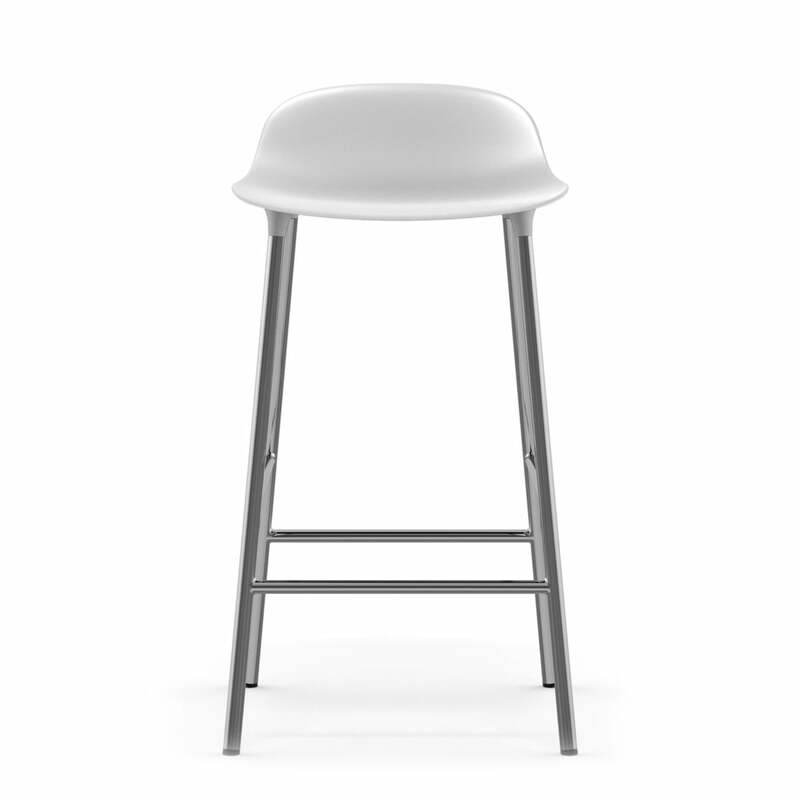 The Form bar stool (65 cm) is part of the Form series by Simon Legald for Normann Copenhagen, and features a particularly elegant frame in chrome, which looks modern and timeless whether in the home or in public areas. 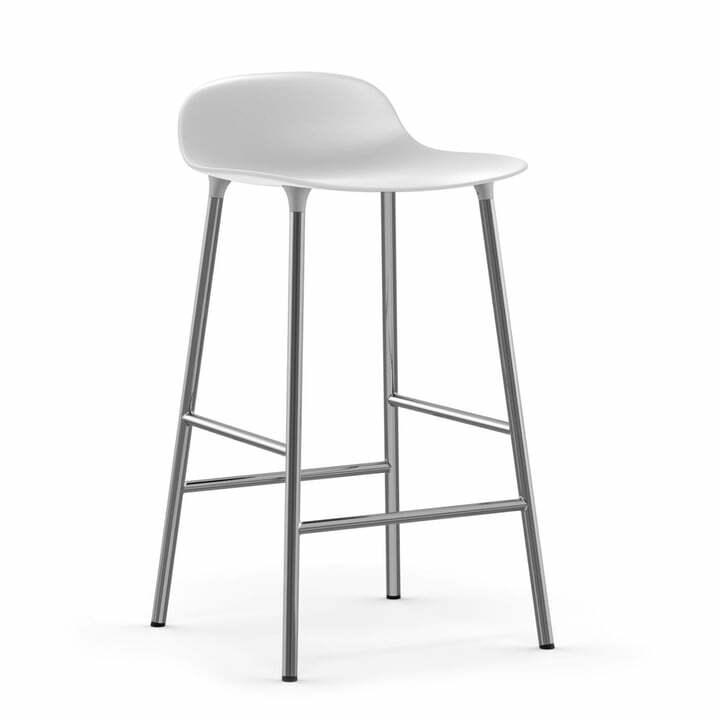 The seat shell made of polypropylene is attached to the chrome-plated steel frame with a plug-in connection, which creates the illusion that the legs are growing out of the shell. 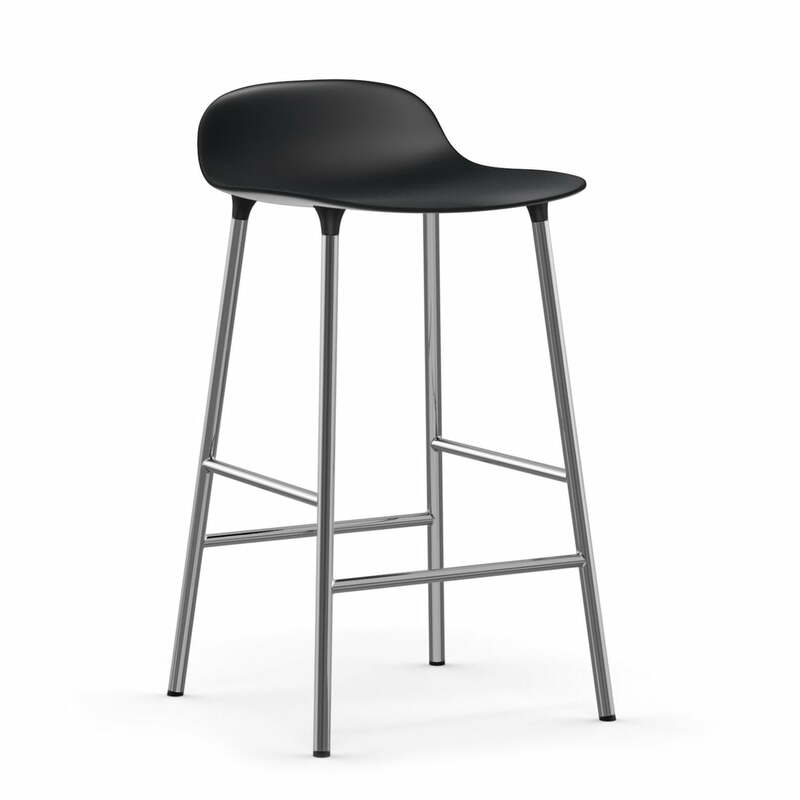 The seamless design gives the bar stool a welcoming look that looks great in the kitchen as well as in bars and restaurants. 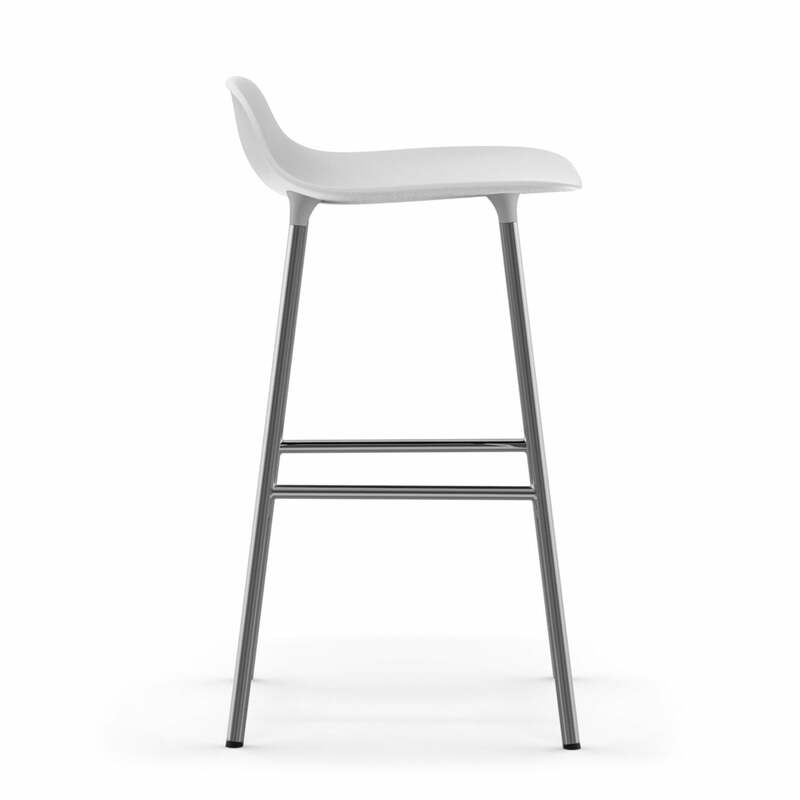 The Normann Copenhagen Form Bar Stool is also available in other colours, in a taller version (75 cm), as well as with a frame of steel, walnut or oak. Just give us a call! The collection also includes chairs, armchairs, rocking chairs and tables, which can be combined as desired. 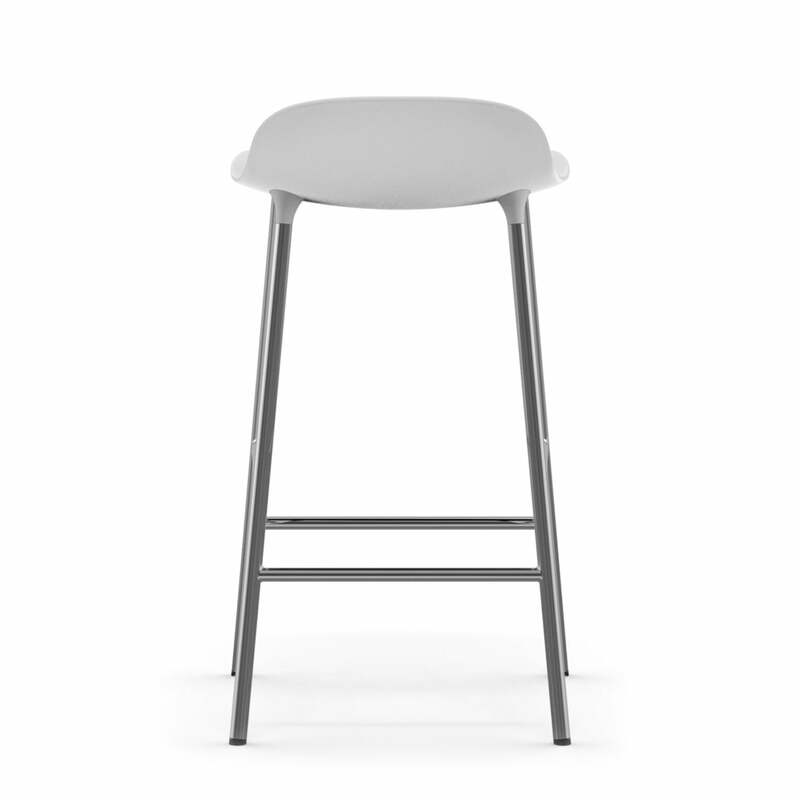 The Form bar stool (65 cm) is part of the Form series by Simon Legald for Normann Copenhagen, and features with a particularly elegant chrome-plated steel frame. The seat shell made of polypropylene is attached to the chrome-plated steel frame with a plug-in connection, which creates the illusion that the legs are growing out of the shell. The Normann Copenhagen Form Bar Stool is also available in other colours, in a taller version (75 cm), as well as with a frame of steel, walnut or oak. Just give us a call!